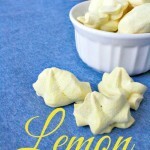 Light and Lemony Melt in Your Mouth Lemon Meringue Drops. A nice summery dessert, that is impressive, but totally easy to make. 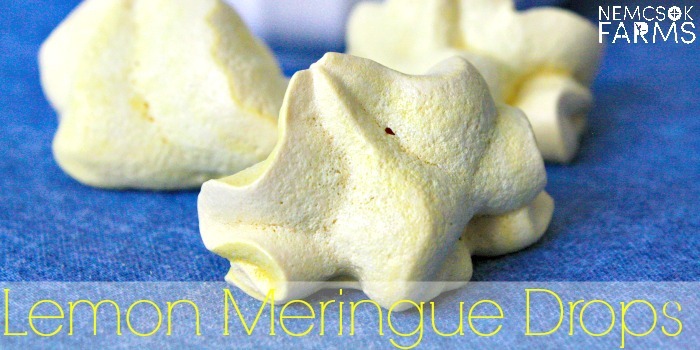 I love meringue. Let there be no doubting me here. It’s often the perfect sweet, bot not too sweet treat, and the melt in your mouth texture is. to. die. for. 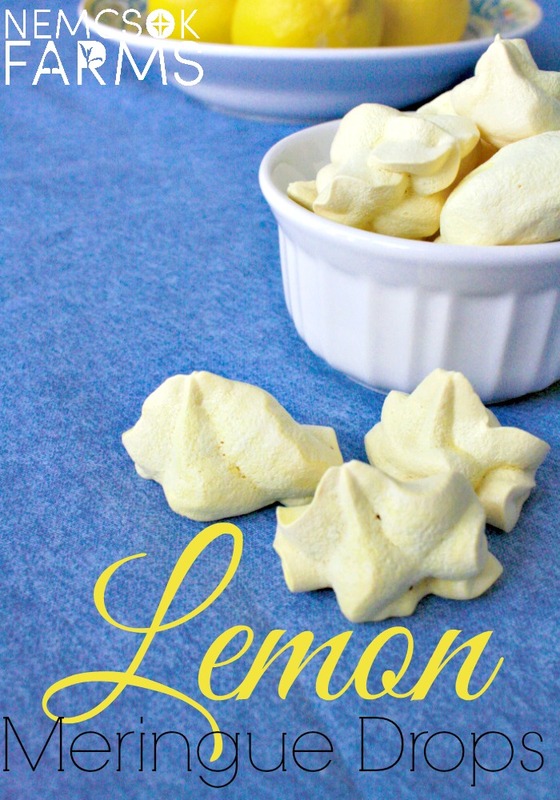 Nothing beats the meringue on a homemade lemon pie, that’s for sure – but these lemony meringue drops are also really, really good. 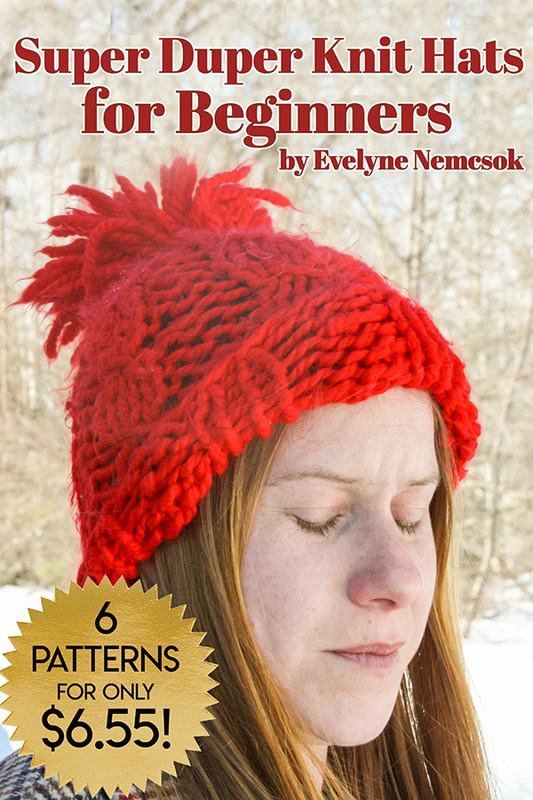 Oh, and did I mention, crazy easy? 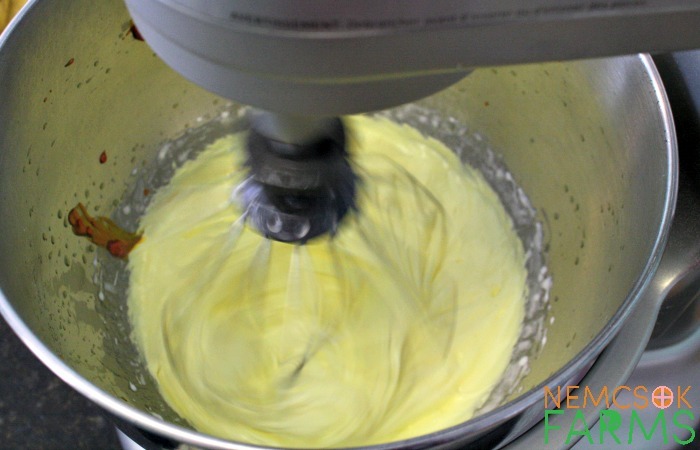 To make a good meringue, you can not under beat it. An electric mixer really is the best option, I am so in love with my KitchenAid Stand Mixer if you’re in the market for one. I have honestly never tried making meringue with a Rotary Egg Beater so I can’t tell you if it would work or not – but I have my doubts. The key to good meringue is not under beating it, I think a hand beater would fall short. If you don’t have a Piping Bag and Large Star Decorating Tip , and they are simply not in your budget, cutting the corner from a plastic bag is completely 100% acceptable. You’ll also really enjoy our other Tea Party Favourites like these Banana and White Chocolate Chip Muffins, these Mini Peanut Butter Cups and these Rhubarb Mini Muffins.